Congrats, you’ve launched a new business! Now, it’s time to get your name out there and start bringing in new customers. Promotion is a crucial part of starting a new business, yet oftentimes it takes up a hefty chunk of the budget. But promotion doesn’t have to be expensive! Here, we’ve pulled together some proven ideas for publicising your business, without breaking the bank. A website is a must for any new business. Fortunately, you don’t have to blow your budget to launch a professionally designed website. There are numerous free or low-cost website builders available to get started, including Wix, Squarespace and GoDaddy. These builders are based on easy-to-use templates, which means you don’t have to be a web guru or coder to build a great digital presence. The idea of giving away free products may seem counterintuitive, however, giveaways can be an incredibly powerful tool in building brand awareness, engaging with fans and creating a brand experience. The reason is simple: people love free things! 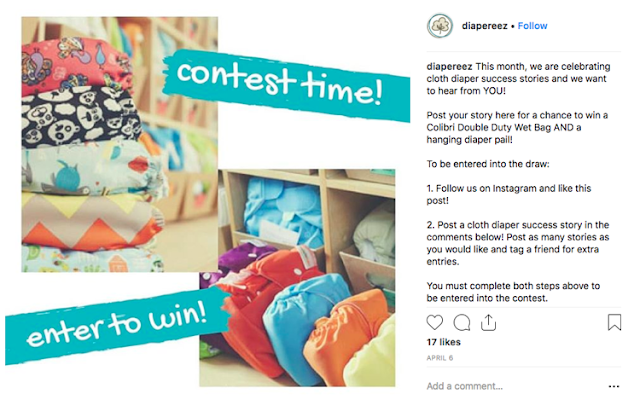 With giveaways, the goal is to connect with and introduce people to your brand and inspire them to develop a longer-term relationship with your product or service. Because the goal is to reach as many people as possible, look for cost-effective giveaway items, like button badges, enamel pins or handy keyrings. Giving away practical items will also help extend your visibility when people wear or use them regularly. Your business offers unique expertise, so why not share it? Hosting a free seminar, presentation or event is a great way to get your company’s name out there and start building leads. The key is to focus on a topic that provides relevant, practical advice that provides value beyond your product or service offering. For example, a boutique PR company may hold a seminar focused on tactics for getting media coverage on a budget. Or a horticulturist may host a demonstration on how to prune a tree. No matter your topic and audience, it’s important to offer practical, hands-on advice that attendees can easily put into practice. If you don’t have the space to host your own event, consider holding the event in a local business centre, non-profit organisation or in partnership with a local university. Writing great content is a highly effective, and budget-friendly, way to build buzz for your business. Start by creating a company blog, where you can share best practices and expert advice with potential and current customers. By sharing your expertise through compelling content, you’ll make it easier for people to find your business online, while also demonstrating your value. Another idea is to seek out ‘guest post’ opportunities on other blogs or publications that align with your target audience. For example, a marketing company might approach an online publication for start-ups about writing an article around email marketing success. Today, there are more than 39 million users on social media in the UK, so it’s no surprise that social media can be a powerful tool in promotion your business. Aside from becoming active on Facebook, LinkedIn, Instagram, and Pinterest, consider hosting a social media contest to quickly boost your brand and engage users. Take for example, this recent Instagram contest from Diaper-ezz, which asked people to follow them on Instagram and share a cloth diaper success story for the chance to win a covetable Colibri Double Duty Wet Bag. Followers could also tag a friend for additional entries, ensuring loads of social engagement. And since the giveaway was provided by the manufacturer, it cost next to nothing! Another way to promote your business without breaking the bank is to join up with another business. By pooling your resources, you can reach a whole new set of potential customers without going way over your budget. 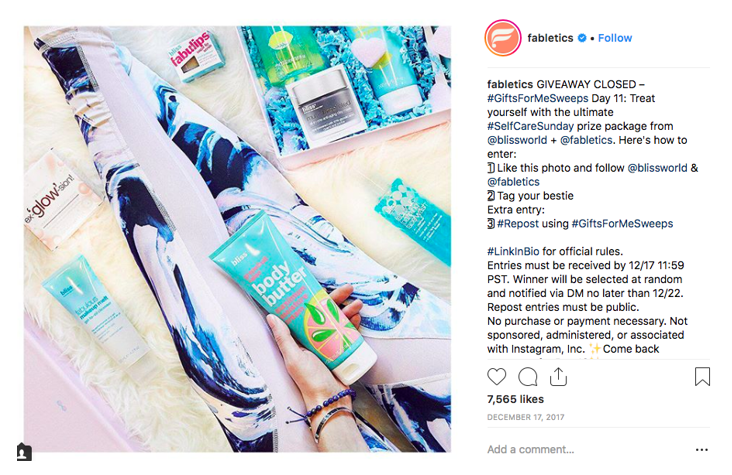 For example, Fabletics recently partnered up with Bliss to create a 12-day #SelfCareSunday promotion that benefited both brands. By choosing a promotion partner that closely aligned with the company’s brand ethos, Fabletics was able to reach a whole new captive audience, without spending a larger part of their budget. These are a just a few of the budget-friendly ways you can promote your new business. However, keep in mind, that investing in promotion can play a critical role in growing your business. The trick is to experiment with different promotion methods and determine which ones work best for your business. Author Bio - Rosemary McKee is an Account Manager at Rocket Badge, the UK’s leading badge manufacturer. With more than 22 years of experience, clients have come to depend on Rosemary’s efficiency and outstanding product knowledge to help them select the ideal badge for their promotional campaigns.